Time is of the essence. Do you want to spend your precious time doing laundry, or do you have other things to do? 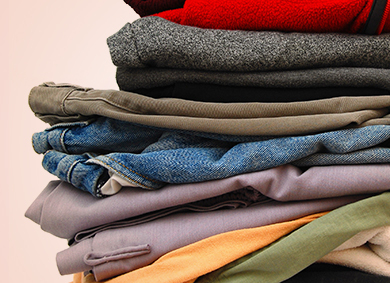 Take advantage of Liberto Cleaners’ Fluff & Fold services and we’ll wash, dry, and fold your laundry. All you have to do is put your garments away, fresh and clean and ready to wear. You have the ability to put hours back in your day, just like that!